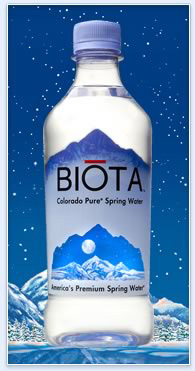 BIOTA is a PLAnet Friendly company. 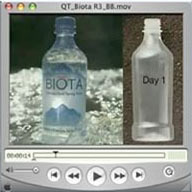 BIOTA Spring Water is the World's first bottled water/beverage packaged in a commercially compostable plastic bottle. Our bottle is manufactured from a 100% renewable resource, corn. Together, we can make a difference. One bottle at a time.